If you’re thinking of switching to a new wireless carrier, download this app, Glove. 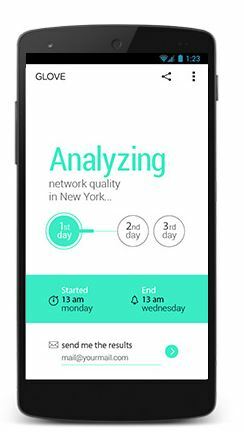 The app finds the best carrier network for you by running for 3 days while you move around your home location. After the testing period, the app selects the best carrier with the highest signal strength. The app also crowdsources data points and matches them to your personal data usage to find a good match. The app’s initial launch is for the San Francisco Bay Area and New York for Android. The app developer promises an iPhone version soon.